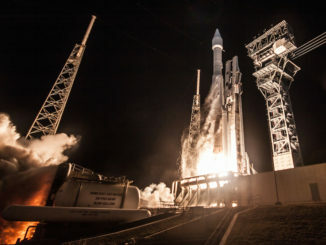 Revisit Friday night’s blastoff of a United Launch Alliance Atlas 5 rocket from Cape Canaveral with SBIRS GEO Flight 4, the fourth in an upgraded line of U.S. Air Force missile detection and warning satellites. 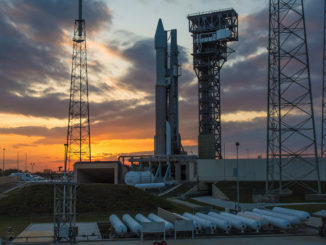 United Launch Alliance has packed two days of rollout, countdown and launch activities into a two-minute video highlighting Friday night’s blastoff of an Atlas 5 rocket from Cape Canaveral with the U.S. Air Force’s SBIRS GEO Flight 4 missile-warning satellite. 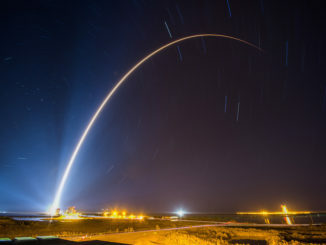 A billion-dollar U.S. military satellite rode a United Launch Alliance Atlas 5 rocket into orbit Friday night from Cape Canaveral, joining a network of space sentinels warning of threatening missile launches from North Korea, or any other place on the globe. 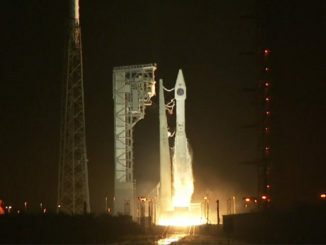 Watch a replay of the launch of an Atlas 5 rocket carrying the $1.2 billion SBIRS GEO Flight 4 satellite into orbit. 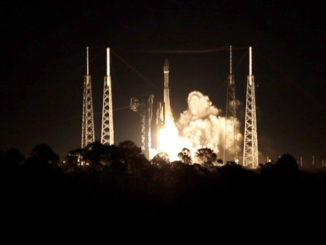 An Atlas 5 rocket lifts off from launch complex 41 at Cape Canaveral carrying the SBIRS GEO-4 missile early warning satellite in this video shot from the Kennedy Space Center Press Site. 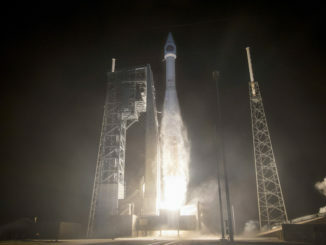 Launch of an Atlas 5 rocket from Cape Canaveral with a U.S. Air Force infrared surveillance satellite was scrubbed Thursday evening after engineers encountered a balky valve associated with the first stage’s liquid oxygen system. 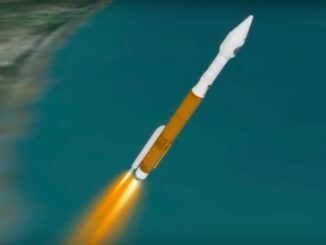 This is the launch timeline to be followed by the Atlas 5 rocket’s ascent into orbit from Cape Canaveral with the SBIRS GEO Flight 4 satellite for U.S. military infrared reconnaissance. 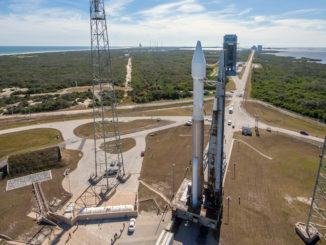 The 75th Atlas 5 rocket rolled to its launch pad at Cape Canaveral on Wednesday, a day before it was scheduled to lift off with a U.S. Air Force satellite to provide warnings of missile launches that might threaten U.S. territories and allies. 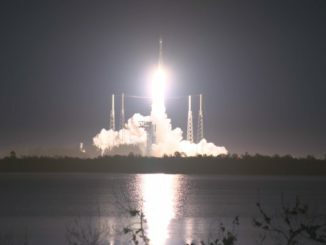 The U.S. Air Force’s fourth new-generation SBIRS missile warning satellite is headed for geosynchronous orbit after lifting off from Cape Canaveral at 7:48 p.m. EST Friday (0048 GMT Saturday), after a one-day delay caused by a troublesome fill-and-drain valve. 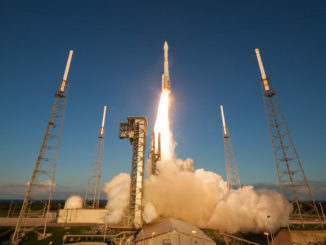 Two U.S. military satellite launches planned for this fall from Cape Canaveral are being delayed to 2018 due to separate factors, the Air Force says.